How much security is enough security? As security professionals know, it’s not a question with a straightforward answer. Too little security, and vulnerabilities mount. Too much, and not only do costs mount, but there’s a risk that the security itself becomes restrictive, impacting individuals’ ability to enjoy a given lifestyle. So, what is the correct answer? Where does the right balance lie between these two extremes? 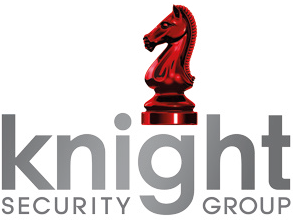 At Knight Security Group, our long experience of protecting and advising clients means that it’s a question with which we’re very familiar. So, here’s how we help clients to strike the right balance and determine the level of security that’s most appropriate for them, their families, and their lifestyle. The starting point is always a threat assessment, with the objective of determining three main things. First, what level of lifestyle vulnerability is involved? Is the client living in a high-value home, driving high-value cars, or posting on social media about an exotic holiday? To what extent are they in the public eye—perhaps through media coverage of their lifestyle, or their work? And are they involved with contentious issues, such as animal testing? Second, what are the principal threats that are concerned? Burglary? Kidnap and ransom? Violence? Theft of—or from—a vehicle? Don’t forget, too, the threat posed by various kinds of electronic crime: individuals working in high‑value financial or corporate transactions are often exposed to electronic surveillance measures, for instance. And third, how adequate are any existing measures, already in place, that are targeted on just those threats? Put another way, where are the gaps in security—and how concerning are those gaps? Armed with that information, it’s possible to make sensible recommendations regarding appropriate security measures. Just as importantly, it’s also possible to make sensible choices regarding appropriate security measures, couched in terms of increasing levels of security. Consider safety while travelling, for instance—an aspect of security that is often overlooked. A little thought reveals a hierarchy of choices or options, with each option providing an increasing level of security. A basic security provision might be providing clients with a written travel threat assessment, helping them to become better aware of the risks in the area to which they are travelling. A higher level of security still might come from providing travel awareness training and journey management advice, centered on ensuring safe routes of travel and the appropriate selection of places to visit and stay—and including advice on actions to take during an incident, how to avoid becoming a kidnap target, and even on what to do if they are unfortunate enough to be kidnapped. The ultimate level of security? Travelling with an individual Close Protection Officer or security driver—or indeed, travelling with an entire Close Protection Team. There’s no ‘one size fits all’ solution: it’s about individual needs, and the actual vulnerabilities and threats that are being faced. Also important is the security of the home, and the possessions within it. Again, it’s possible to view home protection through the lens of an increasing hierarchy of security options. A basic level might be a home alarm system, including CCTV to record illegal entrants, linked to the local police station. Better still would be a provision to view this remotely, while the home was unoccupied. Next: a complete home analytics solution, again linked to the police, whereby the system monitors movement, and sounds the alarms when illegal entrants are positively sighted. Better still would be access control to the perimeter and engaging a key-holding company to respond to alarms and monitor the property when vacant. The ultimate level of security? One option would be an integrated solution as above, but with residential security teams staying in the home either 24/7, or when the house is unoccupied. This could include dog patrols, depending on size of the estate. We could go on. But the basic point has been made fundamentally security is a set of choices and options. Put another way, there’s no ‘right’ one-size-fits-all level of security. What’s important is defining the risks that are faced, the vulnerabilities that are present, and thinking about the most appropriate mitigation’s. And it’s a process that’s made easier when working with seasoned security professionals who are experienced in just such assessments—as are we, here at Knight Security Group. We’ve provided first‑class personal and commercial security services to prestigious clients for more than 25 years, and are members of the Security Industry Authority (SIA), the British Security Industry Association (BSIA), and the Security Systems and Alarms Inspection Board (SSAIB). For a confidential conversation, call our chief operating officer Charlie Taylor MSyI, on 0345 658 3430.